Black Leica IId with Elmar Lens, Germany, c. 1932, no. 65801, the screw-mount lens body with nickel fittings and an Elmar 5cm f/3.5 lens no. 327763. 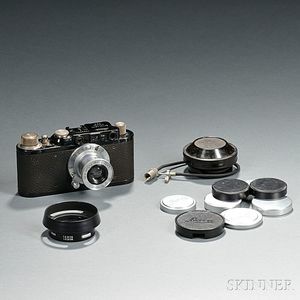 Note: This is the first Leica model with built-in coupled rangefinder.